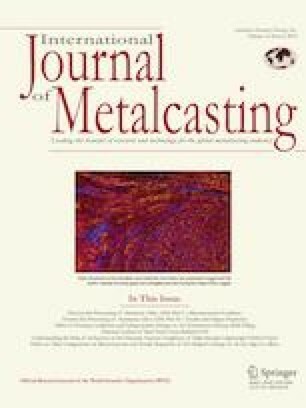 Effects of squeeze casting (SQC) parameters, including squeezing pressure, superheats of liquid metal and die preheating temperature on microstructure characteristics and mechanical properties of A390 aluminum alloy, were evaluated using L9 design based on Taguchi method. Squeeze casting was performed by a 25-ton hydraulic press, and all of the parameters were evaluated at 3 different levels: the squeezing pressure was at 60, 90 and 120 MPa, the superheat of the liquid metal was at 50, 100 and 150 °C and the die preheating temperature was at 200, 250 and 300 °C. The microstructure characterization was also performed using optical microscopy image analysis and scanning electron microscope (SEM). Tensile and Brinell test methods were applied for measuring ultimate tensile strength, yield strength, elongation and hardness. The results showed that the SQC process modified cast microstructure and improved mechanical properties of the alloy. In addition, the variations of the SQC parameters, specially the squeezing pressure, have significant effects on the size and volume fractions of the primary silicon, eutectic cells and the mechanical properties. According to the results, increase in squeezing pressure from 60 to 120 MPa within the tested range leads to primary silicon area decrease by 48% and silicon eutectic decrease by 44.4%; however, applied pressure did not have any significant effects on morphology of phases. On the other hand, superheating over 100 °C and die preheating at 200 °C had significant effects on the final result. It is clearly observed that rising pressure to 90 MPa consequently increases the tensile strength, elongation and hardness. But increasing the pressure to over 90 MPa did not have any significant effects on the final result.